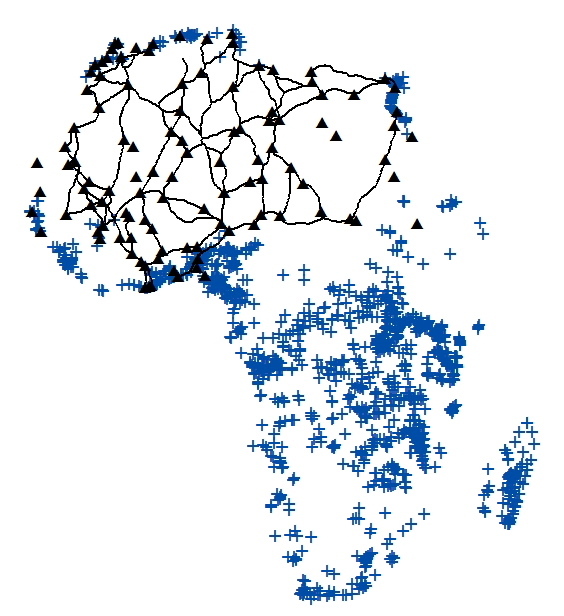 The African continent in missions and Islamic trade routes. Data on missions comes from Roome (1924), via Nathan Nunn. Trade routes digitized from An Historical Atlas of Islam, Brice (1981).